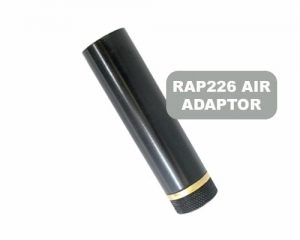 The RAP226 Air Adapter allows you to charge your standard P226 with almost any external air source, like from a 5oz CO2 bottle or HPA bottle. On average, each refill should give 15 round shot. To get a full charge/refill, follow instruction below. Open CO2 valve (if you use one) to allow CO2 to enter. Dry fire pistol 3 to 4 times to allow CO2 to fully enter chamber. 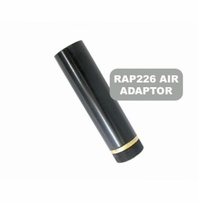 Bleed air from charger adapter by opening its valve.